The Grape and Olive has been designed with comfort and luxury in mind. Located in the beautiful township of Willunga and the gorgeous Fleurieu Peninsular, South Australia. 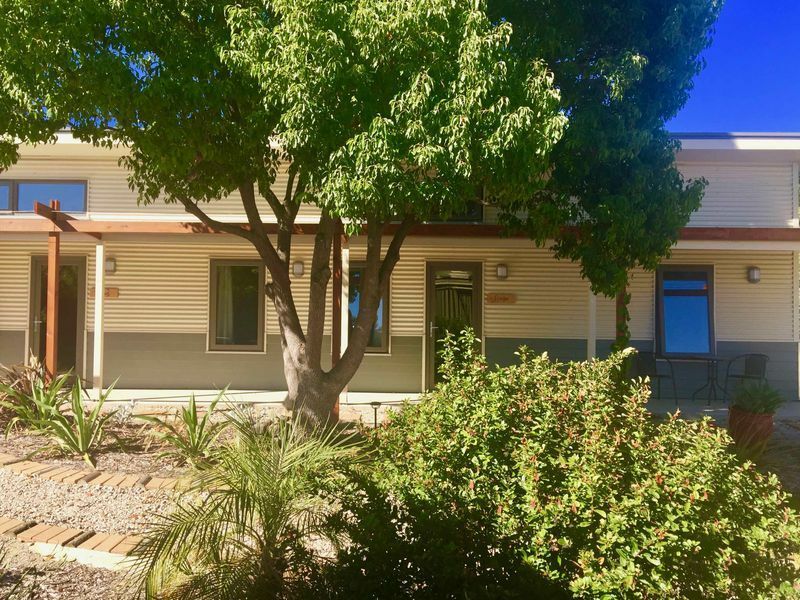 Situated in the heart of Willunga - just an 8 minute walk from the markets, pubs, restaurants, cafés and shops. The Grape and Olive offers the perfect get away for couples, families and groups. Just a 10 minute drive away from the beautiful Port Willunga Beach and 10 minutes from McLaren Vale. Perfectly located to visit the vast amount of local wineries and cellar doors. As well as other tourist attractions that are on offer in this beautiful area. The Olive - a 2 bedroom unit which accommodating 4 guests. 2 bedrooms - 1 with queen sized bed and 1 with 2 single beds - built in wardrobe in main bedroom - 2 way access to bathroom - quality linen and towels - fully equipped kitchen including tea and coffee - large open plan lounge and dining area- flat screen TV and DVD player with a selection of DVDs available - reverse cycle air-conditioning - large outdoor area with seating and BBQ- laundry area - cots and highchairs available on request. Also available - The Grape - a 3 bedroom unit accommodating up to 6 guests - see separate listing. - prices start at $185 per night based on 2 people sharing. The Grape and Olive is available to rent as one complete unit sleeping a maximum of 10 people. Perfect for 2 families or larger groups. The units have a sound proof interconnecting door - see separate listing - prices start at $355 based on 4 people sharing. Breakfast provisions are available at an additional $10 per person per night.